Barça Lassa suffered a defeat in their Euroleague contest against Unicaja Malaga on Wednesday night, being beaten 95-91 after a close finish. Svetislav Petic's side dominated the first quarter, but their Andalusian opponents went on to control the game. A late rally in the final quarter was not enough for Barça to take their third victory in a row in the competition. The game began in electric fashion, with Barça shooting four 3-pointers from their first four attempts. That took them 12 points in front, as they defended well and ran the rebounds at both ends of the court. Unicaja Malaga reduced the lead, and a 10-point unanswered run put them ahead for the first time in the second quarter. They took a slim 49-46 lead into half time. 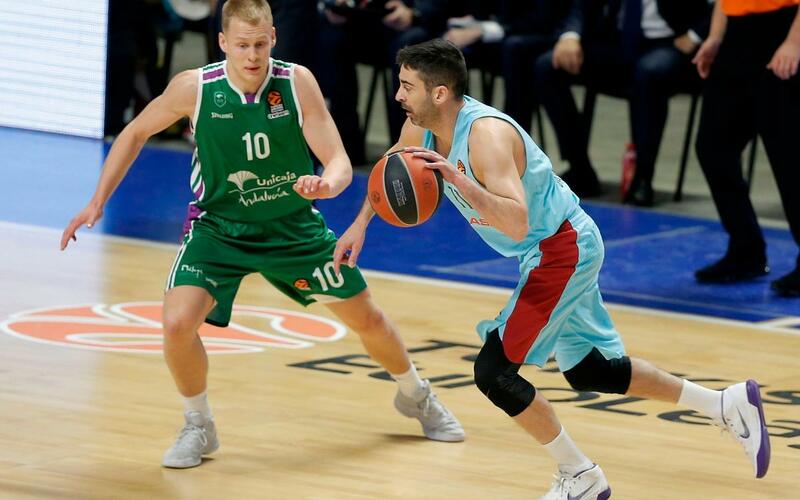 On the restart, Barça Lassa corrected the small mistakes from the first half and once again put themselves ahead, with a 4-15 run in the third period. Ante Tomic, with 17 points, led the charge. Unicaja Malaga responded through Dani Díez, concluding the third period 76-68. The away side would not give up, and in the final quarter they got back into contention with a 5-18 streak. However, in a back-and-forth finale, it was Unicaja Malaga who proved to be the more clinical side. They took the win by 95-91, as Barça Lassa were unable to extend their winning Euroleague run. On Friday they have a chance to bounce back, as they host Baskonia (9pm CET) in another round of the European competition.